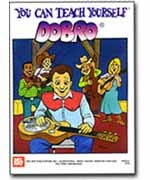 This hands-on 'Dobro' course will have even a complete beginner playing bluegrass and country tunes in no time. Cindy covers essential right-hand techniques such as rolls, rhythm playing, crosspicking, tone control and damping, as well as bar technique, chord building, hammer-ons and pull-offs, minor keys and more. Download now from PlayBetterBluegrass.com! This video will get your skills started off right! Includes detailed study of: Bar technique - pick technique - chimes - trills, bending strings - hammer-ons - pull-offs, slants - rhythm chops - using the cassette recorder - slow songs, fast songs - and much more.